This is a relatively easy recipe that works as a party favor or a side if you're already throwing something else on the grill. 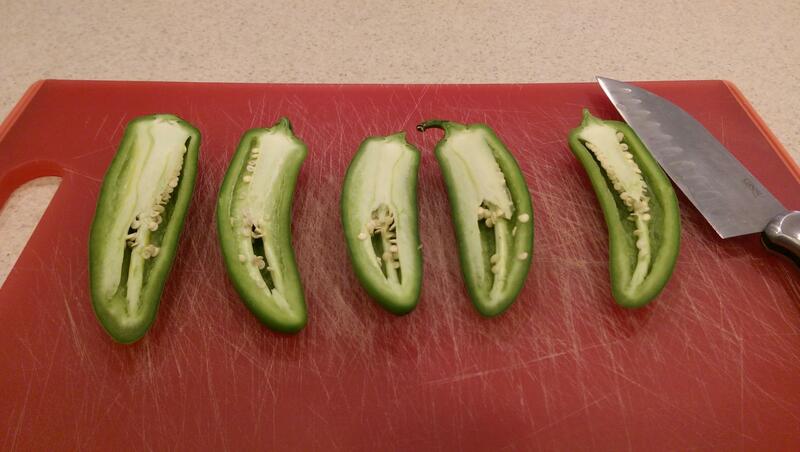 First thing to do slice the Jalapeños in half right down the middle. 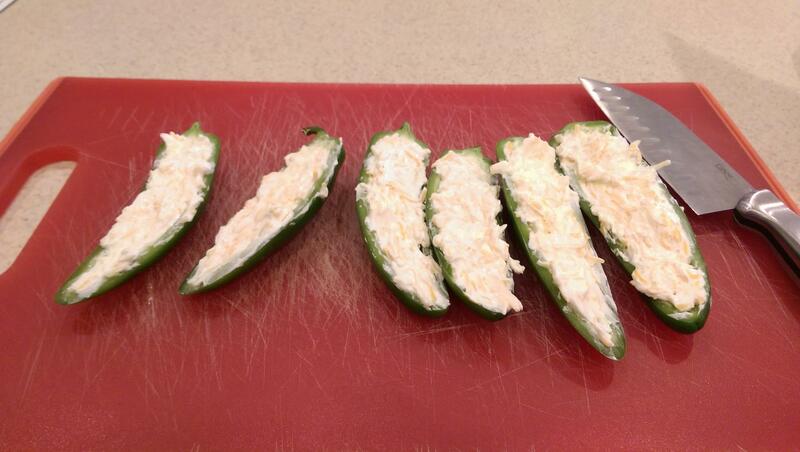 Next, take your favorite utensil and clean out the Jalapeños. In my case, a regular table spoon does the job perfectly. 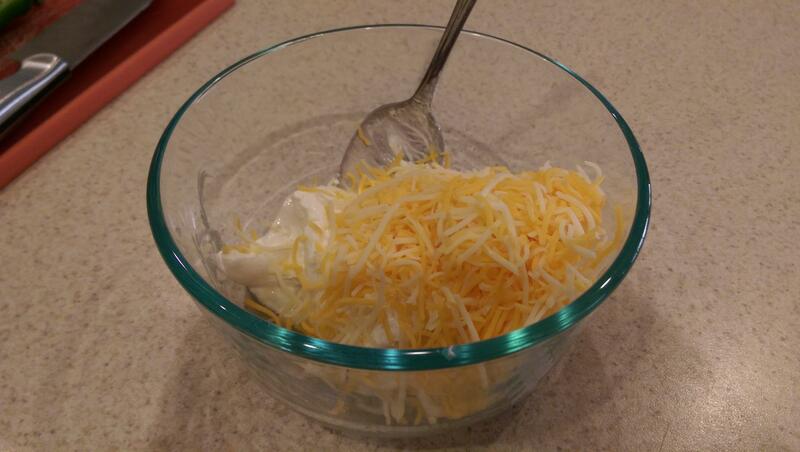 In comes the cream cheese and cheddar cheese. 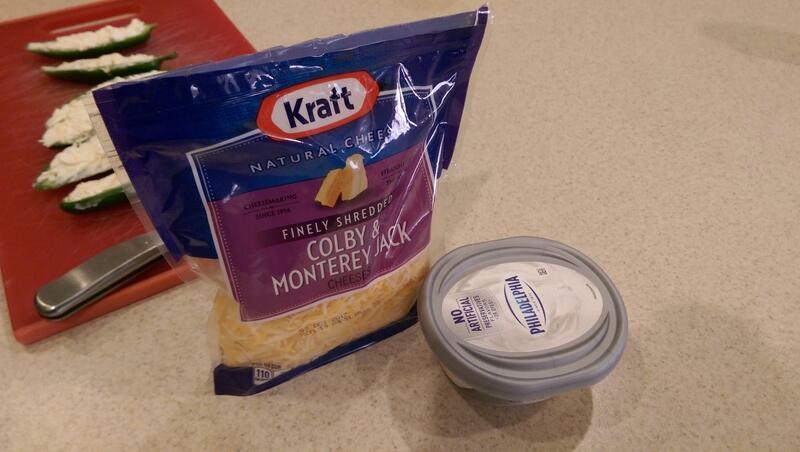 I stick this in a bowl and then mix and grind it up with my hands. Trying to do this by stirring or mashing with a spoon or fork isn't going to turn out well. 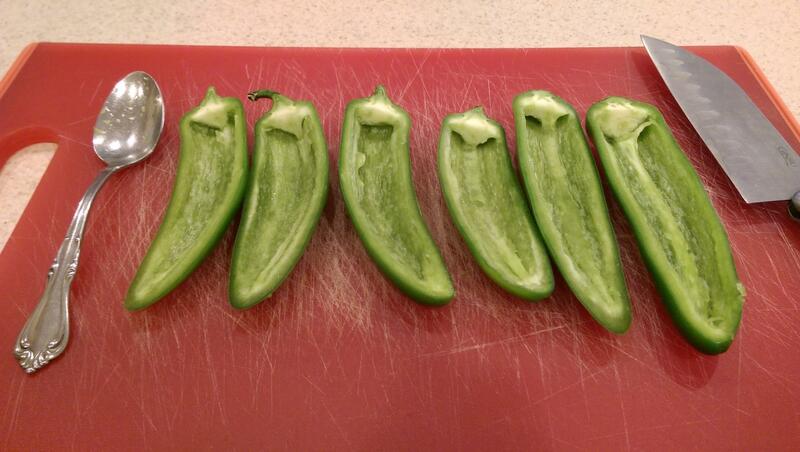 Then, fill each Jalapeño half with the mixture. 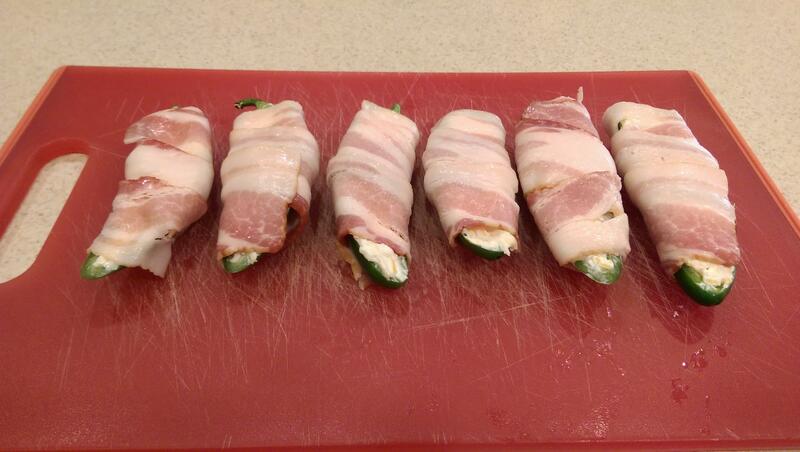 Carefully wrap a single slice of bacon around each Jalapeño half. 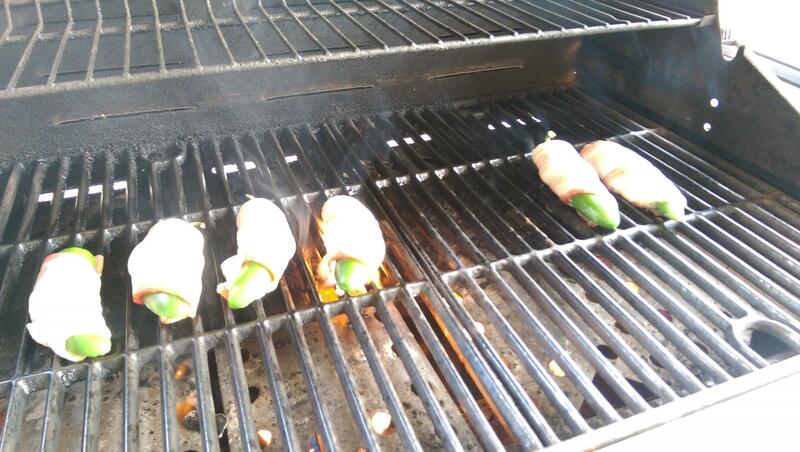 Next, pop them on a grill over medium heat until the bacon is fully cooked. You'll want to keep a close eye on this and be prepared because as always, bacon on the grill is a recipe for flare ups.